During the day they are hanging out with some of the most famous, and iconic, people in movies and television. At comic cons across the nation, Kitsie Duncan and husband Chris Jay run Celeb Photo Ops, a photography business that allows fans the chance to get their pictures taken with super heroes, zombie killers, wrestlers, Time Lords and living legends. But when the con ends, the duo turn out the lights and proceed to take pictures of a different sort of character: Ghosts. 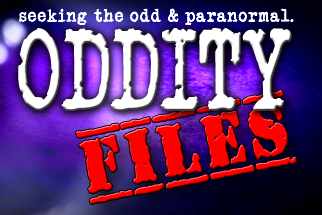 This is the story behind the story of "Oddity Files," the flagship show of the GetScaredTV network available on Roku and online. The Oddity Files crew consists of lead investigator Duncan, tech manager Chris Jay; long time friends Tony Dennet and Jenny Brooks who run the investigation cameras; friends of the family, Jon Heitler and Clayton Abbott. Launched fall 2012, the show has produced seven episodes to date and signals the new wave of online programming. Instead of waiting for a broadcast network to pick them up, they decided to make a show on their own -- one that reflects the paranormal investigative team and style they thought was missing on TV. "We don't claim to be professionals," said Duncan. "We're hobbyists who want what all other paranormal investigators want: To Prove the existence of the afterlife. And we're a bunch of friends who love this stuff and feel the unique energy of our crew helps lend itself to the great experiences we have." 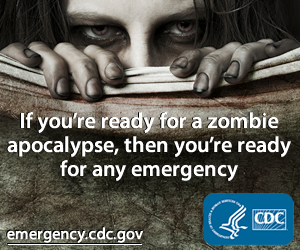 What might those experiences entail? During an investigation at Panzarotti's in Shelbyville, Ind., Duncan said they captured proof of a shadow person in the attic, which she said was later verified. During a episode shot at an Edinburgh, In., bed and breakfast, she said they recorded a "chilling" EVP of a baby crying, which matches records of a crib death there, as well as a supposed little boy ghost telling his age. And at Ferry Plantation in Virginia Beach, Va., Duncan had a personal experience where she said she saw her first apparition. She also said there is some significant scary moments in next month's episode at the Crown Point Jail in Indiana. Meanwhile, in a new episode at Jailhouse Pizza, in Bradenburg, Ky., 'Oddity Files' shares what they say is spirit box evidence, and offers proof that spirits sometimes prefer to interact with only one investigator. The Pizzeria, which used to be the Meade County Jailhouse has reportedly seen some heavy activity since Kevin Stich and his brother renovated it and turned it into the Italian eatery. While it was still a jail, the walls saw the likes of Hank Williams, Sr. and John Hunt Morgan (Morgan's Raiders). According to Duncan, "The 'Oddity Files' crew went into this location with a hard nosed attitude, but the prisoners give back just as hard as they receive." "To this day the Jailhouse experience still haunts investigator Clayton Abbot who was singed out on many occasions at the Jailhouse; Clayton still calls this investigation his craziest and most intense to date." Paranormal Pop Culture is pleased to offer this exclusive look of "Oddity Files: Jailhouse Pizza" before it airs elsewhere. Check it out and if you want more, you can watch more "Oddity Files" at www.GetScared.TV, on GetScaredTV on all Roku devices and on www.OddityFiles.com.